5 random questions and its simple answers! – Insight. . . ! 5 random questions and its simple answers! 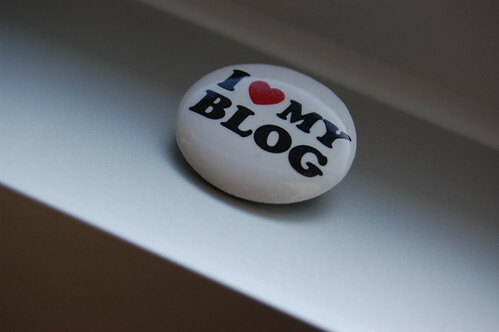 1) What made me think that the activity of blogging keeps me always happy? 2) What do I know about reading? Ans. I wasn’t a guy who has taken reading as an important step in the overall development of the thoughts that comes out from a human head; since the day when I started reading Coelho’s ”The Alchemist”! Currently, I’ve been putting a very least effort (spending your time in an enjoyable space is always an effortless goal) for this amusing process and I’m happy that there is around 120 books with variety of contents and a bulk number of pdf versions of works by did the world-renowned writers like Stephen King, Jeffrey Archer, Charles Dickens, Stephen.R.Covey, Deepak Chopra..etc.. in addition in my small library. 3) What do I mean by decisions in my life? Ans. As a true believer of god and justice, I can’t never let any things go down in any respect even if they’re trying to do so. This is the basic reason behind my every decisions after 2011, the year which served me many regenerative experiences! At the end of the day, I’m the only person responsible for the decisions which I’ve taken and its final output (whether it’s good or bad). 4) Do I often feel regrets about the life I’m leading now? Ans. Changes are inevitable when we feel uncomfortable while doing something in life. But don’t change the whole yourself for a change you need now! Be always cool and happy when the cumbersome facts explodes in our paths. Even if we regret for the failures that the exultant challenge has given, keep smiling and accept the realities behind all these pied results. Yes! We’re one among the best human being in this world itself.Trust in yourself. 5) Have I ever been into a relationship? If not, why? Ans. Loving someone ain’t a big deal, but cheating anyone is such a relentless deal. In fact, I’m passing through the very memorable and comfortable days in the life of a normal human being. I’m young-beautiful-energetic-friendly with everyone who keeps contact with me! Hence, I’ve obviously felt these age related crush or infatuation or attraction with many of the opposite genders whom I’ve met or seen before too. But taking the beauty of this awesome feeling in to consideration, so far, I can’t never judge or fall in love with a girl with whom I haven’t ever felt any persistent feeling which is definitely beyond the limits of the image of a flirting chain. If there exists a “she” for me, then why I’m looking for someone who don’t deserves me? May be, time and age can bring a cross-bar in between us! But still, I can wait for the day in which I’ll cross my hands together with my soul mate. PS: Don’t misconsider this “me” in the above mentioned queries as a morally and socially upright being just after complete reading this post! This entry was posted in Personal thoughts and tagged 5 random questions, Blogging, Challenges, Happiness, Life, Love, Partner, Reading, Relationship, Success, The Alchemist, Thoughts. Bookmark the permalink. Great mature answers. 🙂 Especially 3 and 4! Your answer is very nice.